Just under 2 years ago, I posted about how I had given my old cork-board a makeover and made it into a cushioned pin board instead (here). 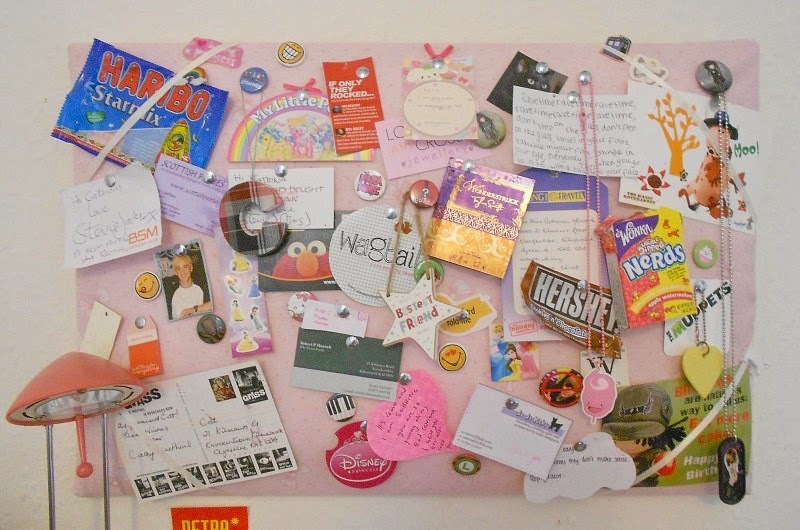 Now, I'm posting about how I've given my cushioned pin board a makeover and have made it into a covered notice board. I guess it's come full-circle. ^_^ Basically, I was getting sick of having a padded, bright pink pin board above my desk so I decided to take the covering off and re-cover the cork board in really nice wallpaper instead. It's more neutral now and I personally think it's much prettier. I thought I would share the results with you - tell me what you think! I genuinely find it hilarious how much the wall above my desk has changed over the past 18 months. It used to be so...empty. If you have any questions about what anything is or where anything's from, feel free to ask! I'm really pleased with the results and can see it staying like this for quite a while! What do you think? I love it! 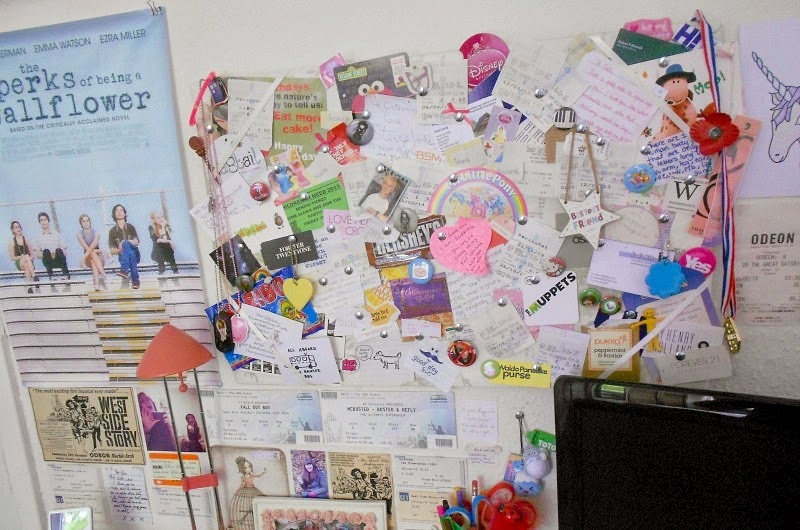 I seriously wish I had your Notice board. There's one in my bedroom but I've pinned my calendar on it and there isn't too much surrounding that but I really want to fill it up completely. It's a brilliant idea and I think it's given me some ideas for my room too.